RISE Life Services has a variety of options to explore in the areas of Estate Planning and Charitable Giving. Each of those options can be read in detail by clicking here. In this blog, we are describing ways you can save taxes while supporting RISE. The end of the year is an ideal time to take stock of your financial situation and decide which assets are best to use in making charitable gifts to your favorite organizations. However, this is something you can plan throughout the year in order to support your favorite charity and benefit as well. There are many options open to you, some of which can fit in very nicely with your overall financial objectives and actually enhance your – or your family’s – financial security. 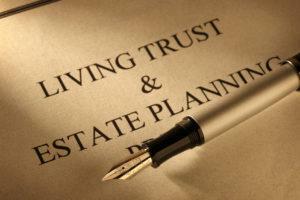 To find out more about Estate Planning, and have your questions answered, please call (631) 727-6220 extension 203. RISE Life Services provides a residential and supported living environment on the East End of Long Island, dedicated to empowering people with intellectual disabilities and mental health challenges to RISE to their full potential. To learn more about RISE Life Services, residential housing, job opportunities and other programs, please browse our website or call 631-727-6220 ext. 203 with any questions.